When it comes to student debt in the United States, the numbers are truly staggering – in 2012, 71 percent of new bachelor’s degree graduates had debt, averaging over $29,000. 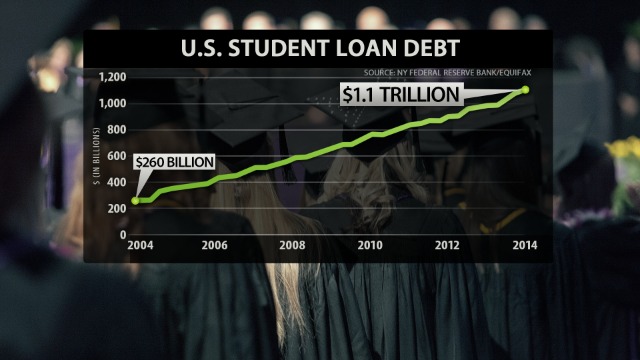 Over the last ten years, student debt has quadrupled – topping $1 trillion. Is the 'Tiger Mom' controversy misunderstood? 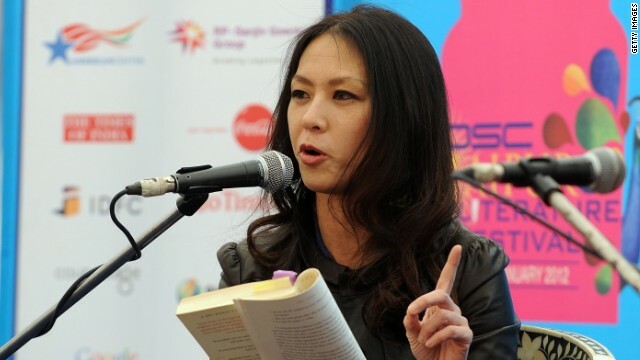 GPS Digital Producer Jason Miks speaks with Amy Chua, a law professor at Yale, and her husband Jed Rubenfeld, also a professor at Yale, about their new book ‘The Triple Package: How Three Unlikely Traits Explain the Rise and Fall of Cultural Groups in America,’ and what it means to be a Tiger Mom. Watch Fareed’s interview with Chua and Rubenfeld this Sunday at 10 a.m. and 1 p.m. ET on CNN. Your 2011 book, The Battle Hymn of the Tiger Mother, sparked an intense debate with its look at the differences between Chinese and Western parenting. What are the key characteristics of a Tiger Mom? 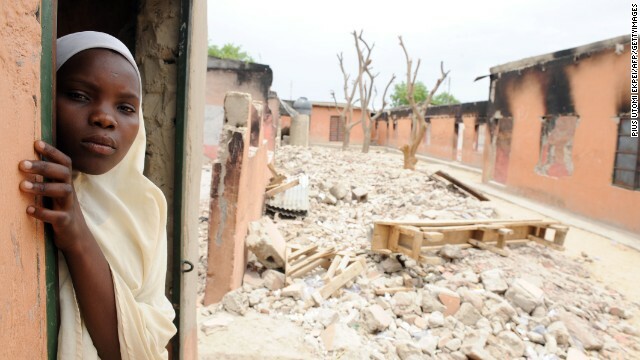 What education lessons can U.S. learn from overseas? Fareed speaks with Wendy Kopp, the CEO and co-founder of Teach for All and the founder of Teach for America, about improving education in the United States. So what seemed to be the best practices that are applicable? Kopp: I mean just to go back to the Shanghai example, it was about teachers. It's also about school leaders. And it's about, you know, system leadership. We were blown away by the caliber of the folks who have, over a long time, driven the change. And if you get under the covers, some Shanghai schools are stronger than others. And they take those school principals who are running the best schools and pair them up with the principals at the other schools so that they can transfer the practices. Like this is a people business. I actually couldn't agree more that technology can give a ton of leverage to really strong people. But to me, and this is what Teach for All is all about, but we've got to start channeling our top talent toward this challenge of improving educational outcomes and especially taking on educational outcomes for the most disadvantaged kids. And that needs to happen all across the world. Watch the video for the second half of the panel or tune into GPS today at 1 p.m. ET on CNN. “An absolute wake-up call for America.” That’s what U.S. Education Secretary Arnie Duncan called the recent release of test scores showing how American kids compared with their peers around the world. The test is called the Program for International Student Assessment or PISA. Here's how American kids ranked: 17th of 34 countries in reading, 21st in science, 26th in math, which doesn't look good. How do we improve them? We have a terrific panel. Joel Klein is the former chancellor of New York City's school system. Wendy Kopp is the CEO and co-founder of Teach for All and the founder of Teach for America. Sal Khan, well, Sal Khan is one of the most innovative educators in the world and of course the founder of Khan Academy. And Tom Friedman is the three-time Pulitzer Prize winning columnist for the New York Times. Watch the video for the panel or tune into GPS today at 1 p.m. ET on CNN. There are many reasons, but to put it simply, many of these countries are playing to win. Fareed speaks with journalist Amanda Ripley, author of 'The Smartest Kids in the World and How They Got That Way,' about what other countries can teach the U.S. about education. Watch the video for the full interview. America is exceptional in many ways. Sadly, secondary education is not one of them. The most recent rankings for the Program for International Student Assessment has American 15 year-olds ranked 14th in reading, 17th in science and 25th in math, among other developed nations. Countries like Finland and South Korea always rank near the top. In a 2011 GPS special, we went to those two countries to see what they were doing differently. Investigative journalist Amanda Ripley went one step further. She followed some American kids as they spent a year abroad in high school in those two countries and in Poland. The results are fascinating. The book is called The Smartest Kids in the World and How They Got That Way. Amanda Ripley joins me now. So what did you find about those three countries that struck you? You actually have three models that you say that they represent. What are they? So, South Korea is the pressure cooker model. The extreme case of what you see all over Asia, where kids are working night and day, literally, under a lot of family pressure, to get very high test scores. 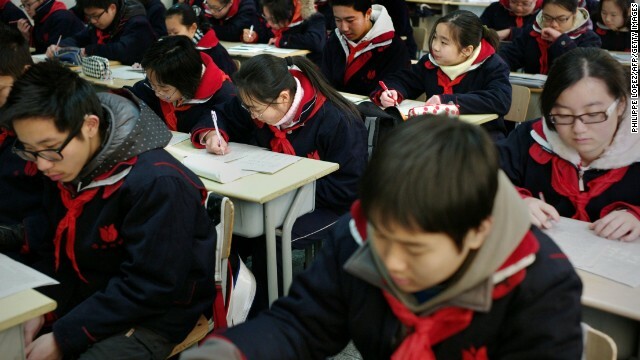 Now, South Korea does get those high test scores, but at great cost. So that’s one, the pressure cooker model. Finland is, in many ways, the opposite extreme of South Korea. Not in all ways, but in some. And Finland is what I call the utopia model – they've really invested in quality over quantity and the kids are, on average, doing less homework than our kids, but still achieving at the very top of the world on tests of critical thinking and math, reading and science, with very little variation from school to school or from socioeconomic status from one to the other.